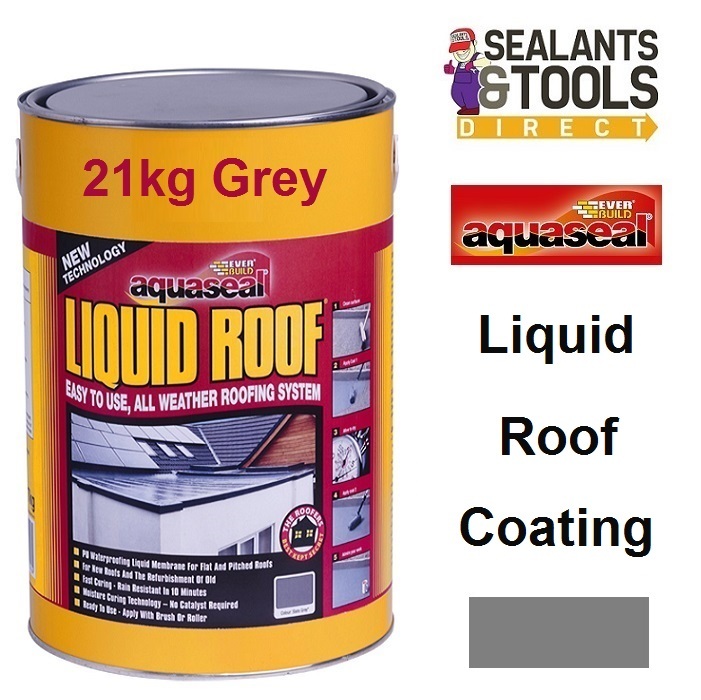 Everbuild Aquaseal Liquid Roof Grey is a fast-curing, polyurethane based waterproofing liquid membrane suitable for both flat and pitched roofs. Everbuild Grey Aquaseal Liquid Roof Coating has excellent adhesion to both porous and non-porous substrates. Suitable for use on new projects, extensions or to refurbish an existing, leaky roof. Becomes completely rain resistant in just 10 minutes. Liquid Roof will even cure if a pool of water forms on top of it! Suitable for use with both new and old roofs. Moisture curing technology –no catalyst required. Fast curing – rain resistant after 10 minutes. Ready to use – apply with brush or roller. Easily recoated, no stripping required. Provides cost effective life-cycle extension of failing roofs. Vapour permeable – allows substrate to breathe. Elastic – retains flexibility even at low temperatures.